Napoli president Aurelio De Laurentiis said captain Marek Hamsik has joined Dalian Yifang of the Chinese Super League. No financial details were released but local media reports say Dalian paid £17.6million for Hamsik, who signed a three-year contract worth £7.9m a year. 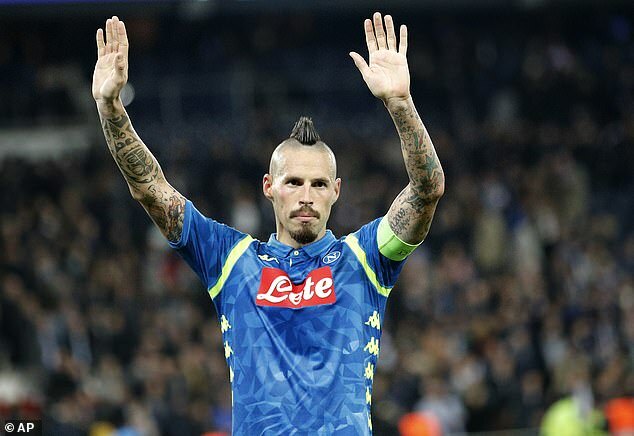 Hamsik, 31, joined Napoli in 2007 and scored a record 121 goals for the club, surpassing the 115 goals scored by Diego Maradona in December 2017. He also made 520 appearances, the most in club history, and has made a record 111 appearances for Slovakia.